R & D - Anfarm Hellas S.A.
ANFARM’s Research & Development activities are conducted at two independent units; the Formulation Development and the Analytical Development Departments, both located at ANFARM’s Manufacturing Site in Schimatari. The two departments, though independent, both focus on the development of ANFARM’s branded generic products, on co-development projects with 3rd parties and in Technology Transfer and Contract Manufacturing activities. 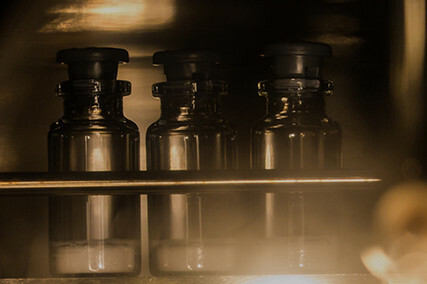 ANFARM’s R&D Unit has a team of highly educated and experienced scientists and is equipped with advanced technological machinery and analytical instruments for the manufacturing and analysis of sterile and non-sterile liquids, powders for infusion and solid dosage forms of generic products. Copyright © 1993-2016 ANFARM HELLAS S.A.